Many patients will suffer from gum disease at some point in their life. Common symptoms include red, swollen gums that bleed when you brush your teeth. Screening for gum disease forms an integral part of your routine examination. The early stage of gum disease is known as gingivitis. When gingivitis is left untreated it can develop further into a type of infection known as periodontitis, which affects the entire area surrounding the tooth, including the bone beneath the teeth. 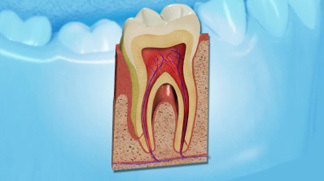 It is vital to avoid periodontitis because if it is not treated, it can result in you losing a tooth. To keep your mouth healthy we recommend that you come in for regular hygiene appointments and dental examinations. Find out how to go keep your teeth fresh and healthy for life. At what age should I bring my kids to the dentist?. How should you teach your children to brush their teeth?. Rumana was great. She made me feel relaxed as I don't really like visiting the dentist. She explained everything she was doing and gave me great advice. Would definitely recommend her based on my experience.